I thought today I would post a review of the Push Up Liner from Benefit! I know a lot of people went over this awhile back but I thought I would give my take on it too since some of my friends have been asking about it. Now for me, Benefit seems to be completely hit or miss. I either LOVE their stuff, or I find that some of it is way over-hyped and not at all worth the money. Let’s see how this held up. The applicator and Accuflex tip are supposed to be the big innovations on this product. You twist the pen to get the liner flowing, then with just a flick you can imprint the tip onto your eye to line up your wings, fill them in and BAM, you have flawless matching wings. Not so much in actual use. The tip didnt have a large enough opening for me to be able to put a mark where I wanted my wings to be that was still noticeable on my hooded eyes. Lining my eyes was fine, but it was more of a pain than it was worth. I could have used my normal liner and it would be way faster (there is a learning curve with this but in my opinion I am not patient enough to bother). The formula itself is very dry compared to what I was expecting. It is not as black as I was hoping for either, so I feel like most days I would end up putting a liquid liner over this anyway, which kind of defeats the purpose of using this one. The little orange piece in the photo above is supposed to be taken out and then put back in each time you use it to help keep it from drying but I think the formula is too dry in general for that to make a huge difference. In the photo below this was my first time trying it after I got anything out. The pen is easy to maneuver, but as you can see on the lower left swatches, it can drag and be very dry, even upon first use! Now I get it that sometimes when you use something new, you have to click or spray it or what have you a few times to get it going. I had to click my pen OVER 50 TIMES to get this going! After a minute or so I was wondering if this was a joke, but nope, it was painfully real. I’m paying $24 to have 50+ clicks without ANYTHING coming out? I call BS on this. The staying power was okay but once again I think this is something that the makeup world went overboard on with high expectations and the result ended up falling flat. I not only will NOT buy this again, but I will be returning the one I bought as well. My sister does have this and loves it. 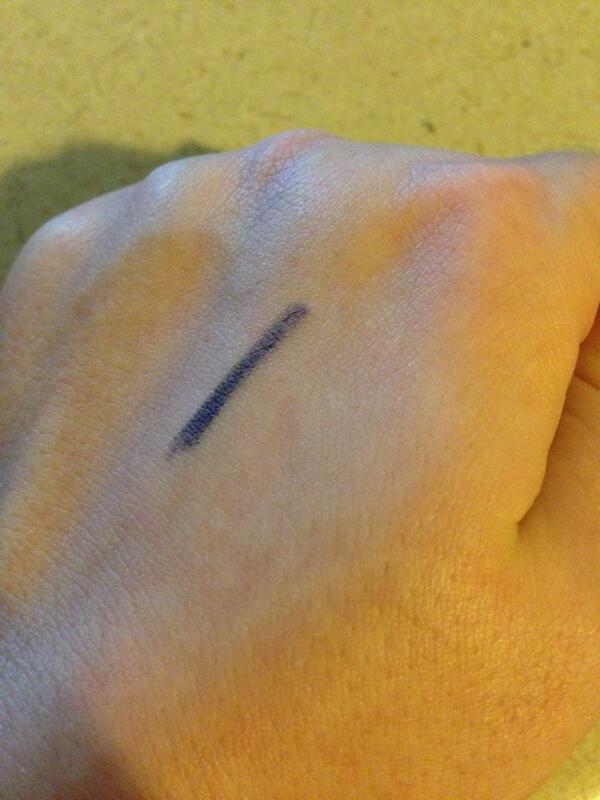 She found that it stayed very well on her skin and was matte black enough for her (she is paler that I am at an NC10! and even that is a bit dark sometimes!! ), but I would rather save the money and use a drugstore liner since they seem to give me the same results. Have you tried the Benefit They’re Real! Push Up Liner? Let me know what you thought of it in the comments below!! I have been MIA for a bit, partially because of an extended vacation with the husband. You better believe that while we were gone I got some new makeup to share with you! 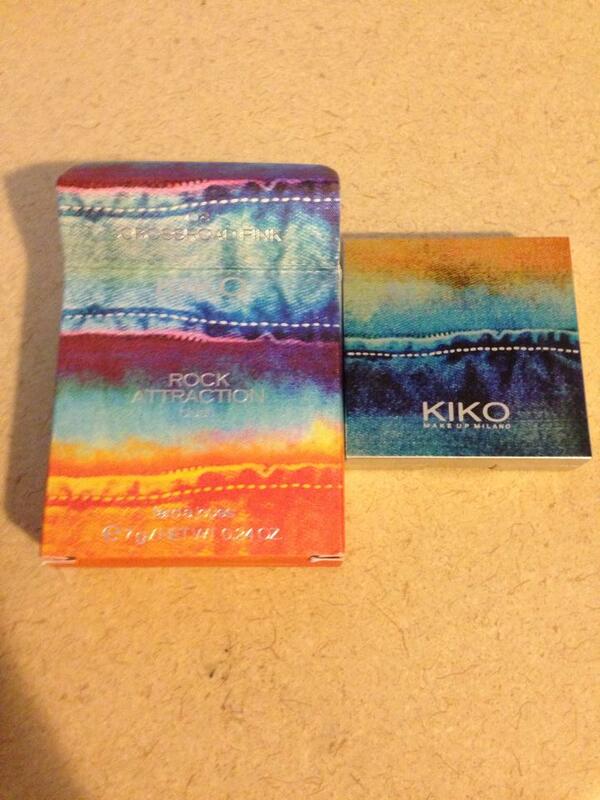 KIKO is a brand that is found in Europe and the US (in NYC and soon Miami). I hadn’t really heard of it before except on facebook groups because one of their eye shadows is a dupe for MAC’s Whisper of Gilt which is going for $100+ USED online! Crazy, right? Anyway, let me show you all the things I got! Now one thing that I’m not crazy about with this brand is that most items are just numbered instead of having names for the shades. 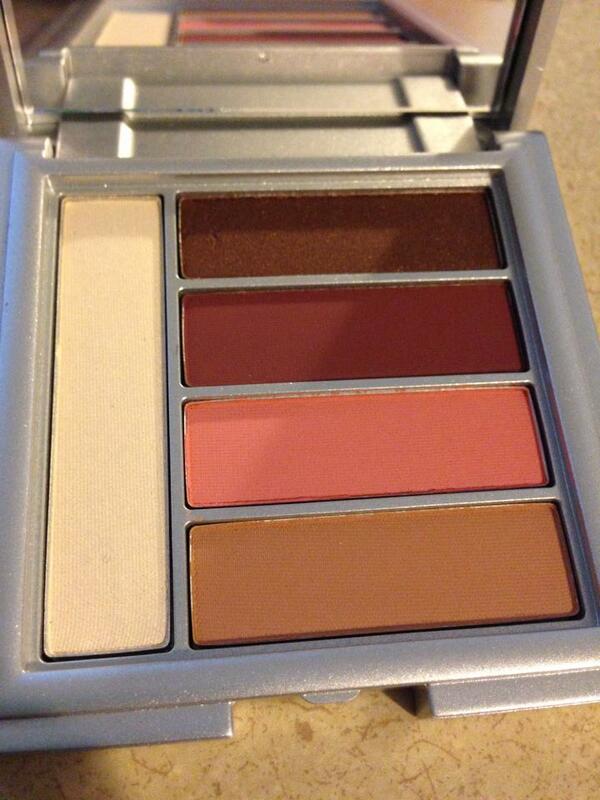 The colors are pretty pigmented with the exception of the champagne color, 118. 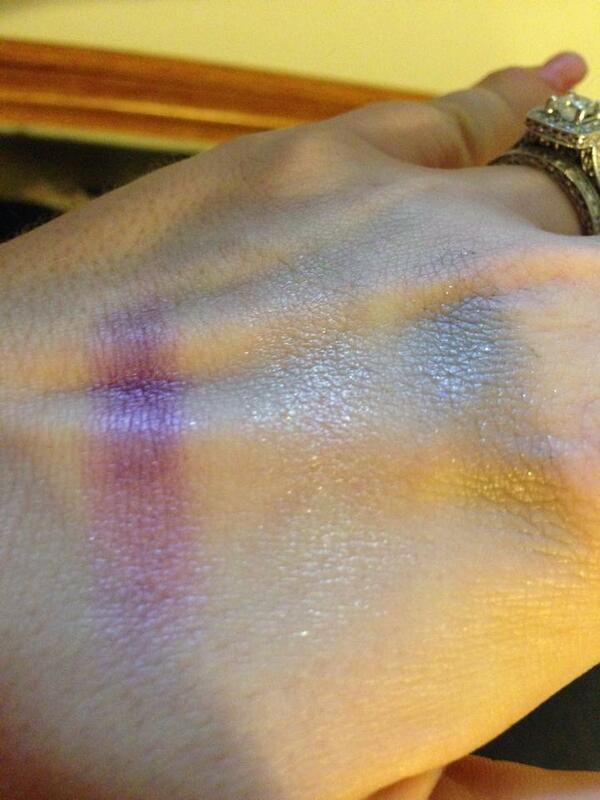 The pigmentation is not horrible,you just need a second swipe and you are good to go! The shadows are really big for the price. i’m not too crazy about the clear plastic domed lid on the packaging. It just feels cheap to me and they can be hard to get open. I grabbed the shade Atlantic Camellia. 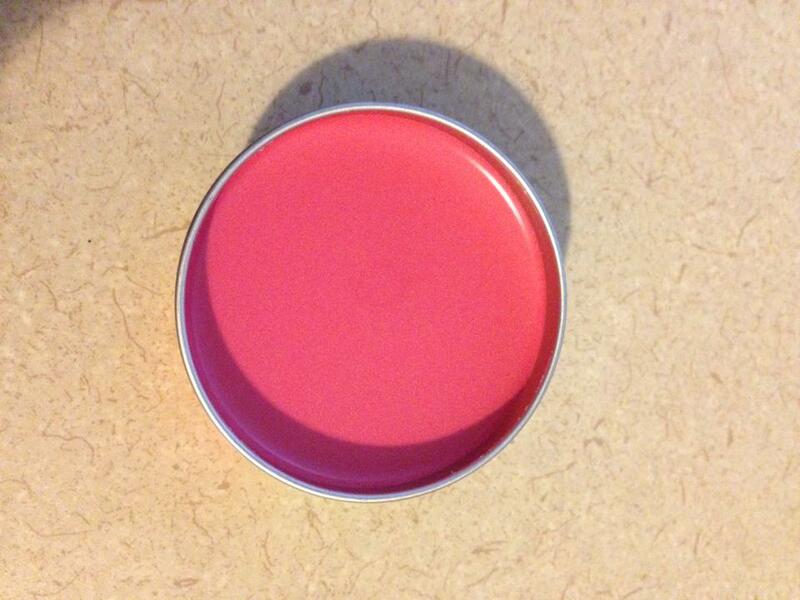 It is a bright watermelon pinky blush. The other side is a swirl of bronze and baby blue. 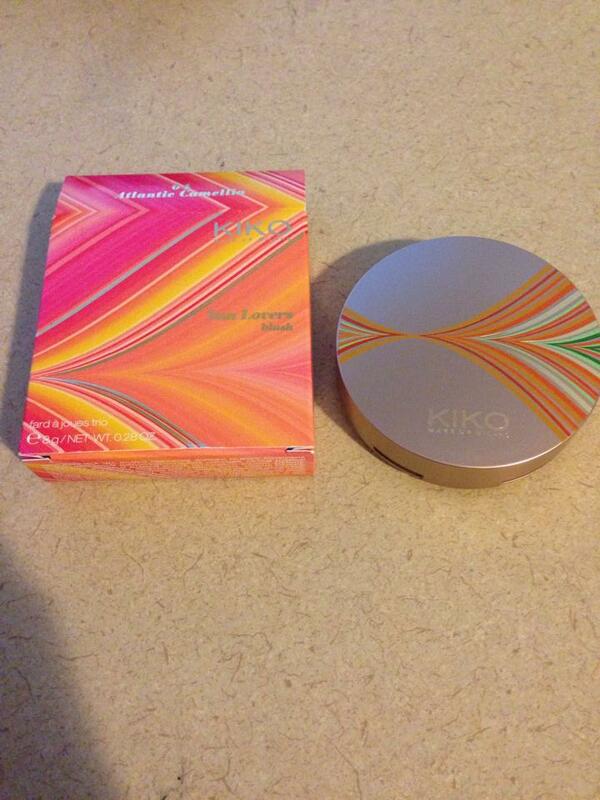 When the whole thing is swirled together, it is a watermelon shade with an almost opalescent finish. Again, not crazy about the packaging on these. 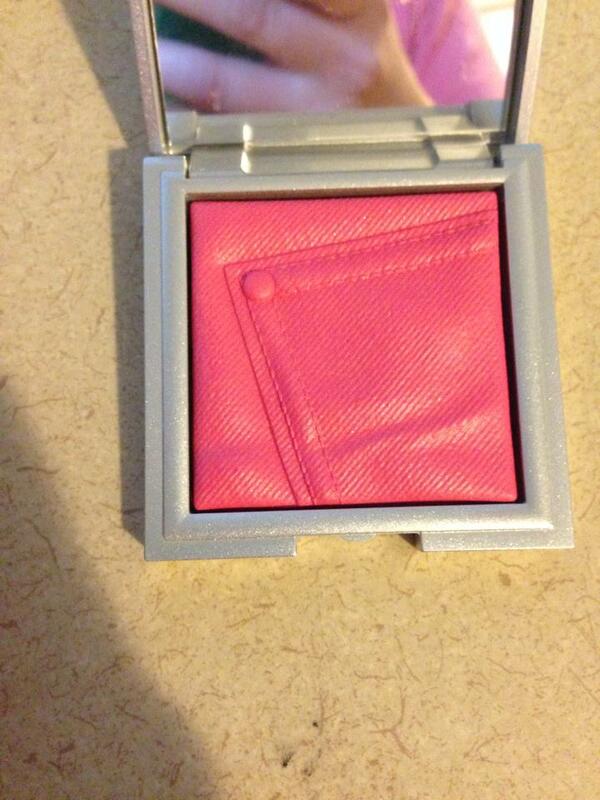 The compact is about 3/4 inch tall, but almost all of that height is from the lid. 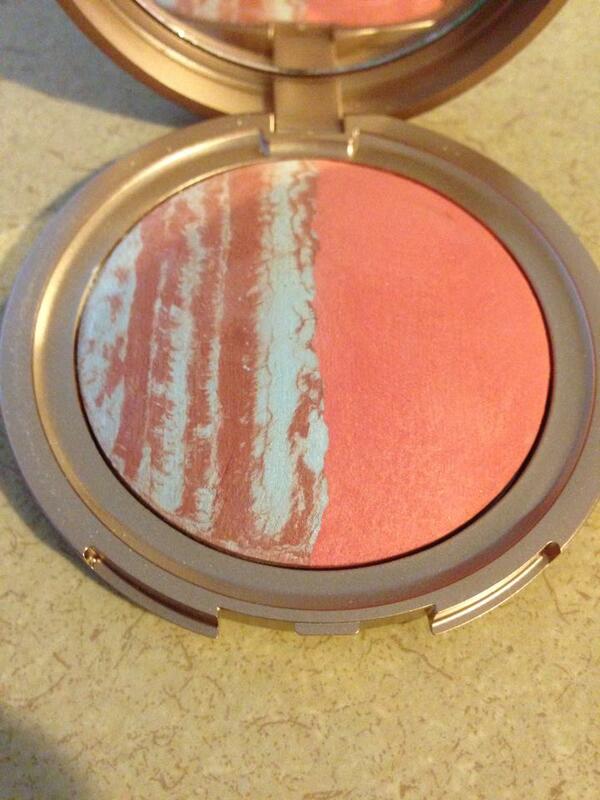 The portion with the blush itself is fairly thin. The lid does have a mirror inside, but I just can’t see this being very travel friendly because of the bulky packaging. 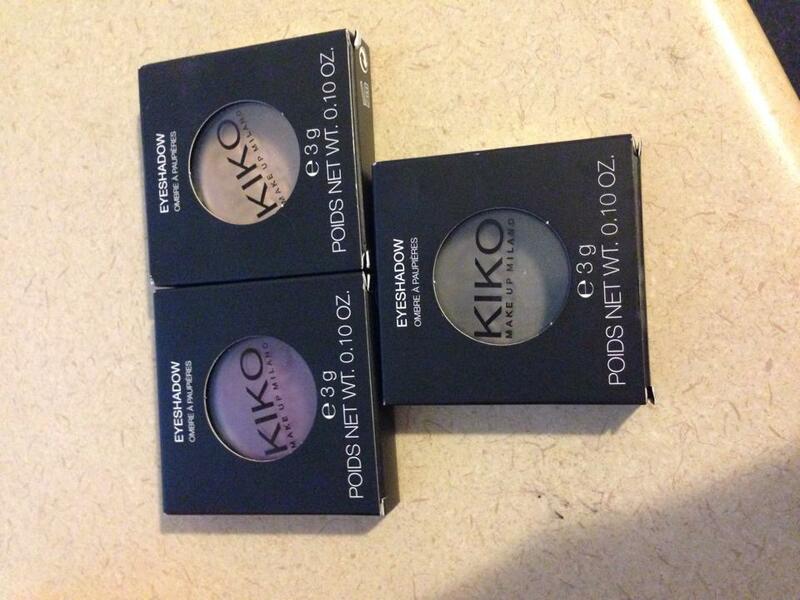 I grabbed some more of the LE items, including the Street Fashion Eyeshadow Palette . I got 02 Addictive Song. 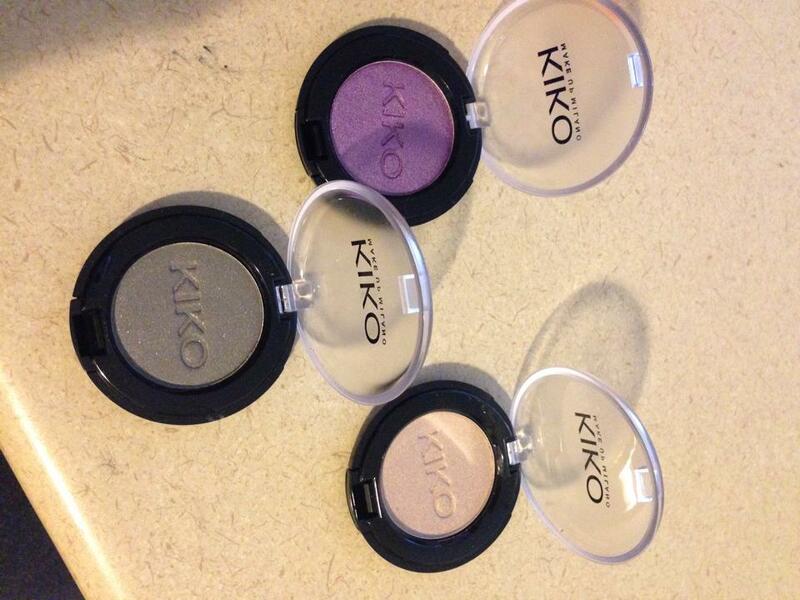 It comes with 5 shadow shades and has a pretty large mirror in the lid. The shades do not have names or numbers, but the swatches are below. They don’t quite match the placement in the palette, but as you can see the deepest brown is below the other colors in my swatches (it is the top color in the palette). Then we have the plum shade, rosey pink, fawn, and white. 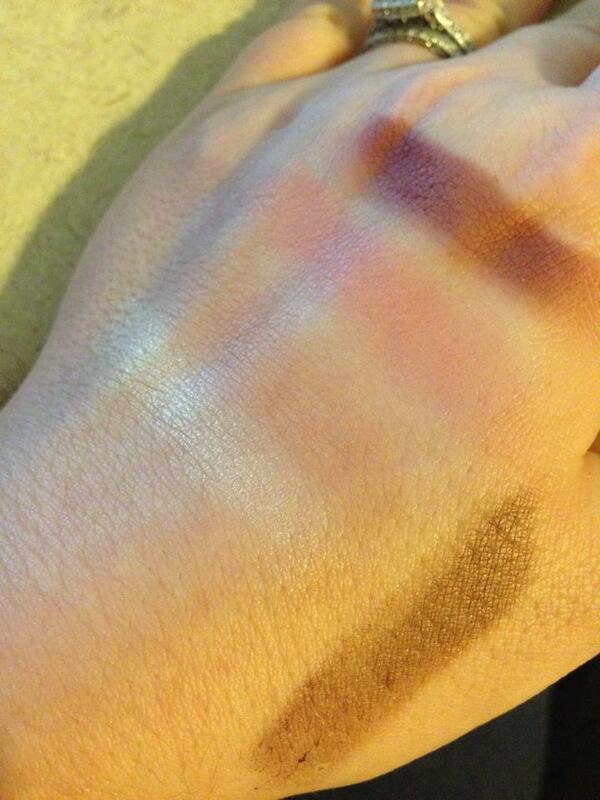 All of the shades are matte and again I found that some of the shades are more pigmented than others. I do like the darker shades as they have great payoff (all of the swatches are one swipe in pan and one on hand, no primer). The lighter shades aren’t as pigmented but can be built up. 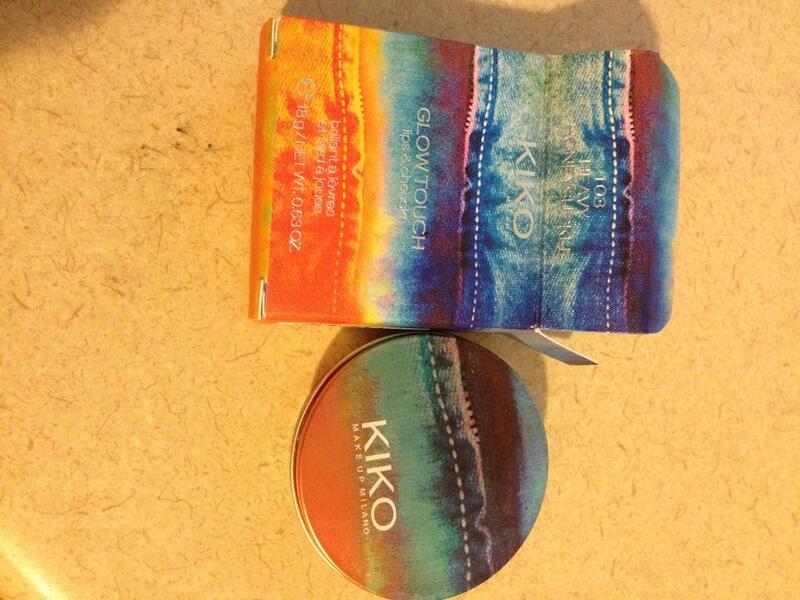 Glow Touch for Lips and Cheecks (as the box says haha) comes in a circular tin. I got 103 Heavy Honeysuckle. This is the WORST packaging I have ever experienced on a product EVER. Period. I love this stuff but I literally struggled with getting the lid off of this for 5 minutes before I used a knife to pry the damn thing off. Somehow the lid gets suctioned off and you can’t get it to release unless you pry the side to equalize the pressure and get rid of the vacuum that’s created when you pull. It would be much better if it were a threaded lid. You get a TON of product though and maybe as I use it, it will become easier to open. Maybe my nose is just messed up right now, but this does not smell at all like honeysuckle. It smells like brownies to me haha. 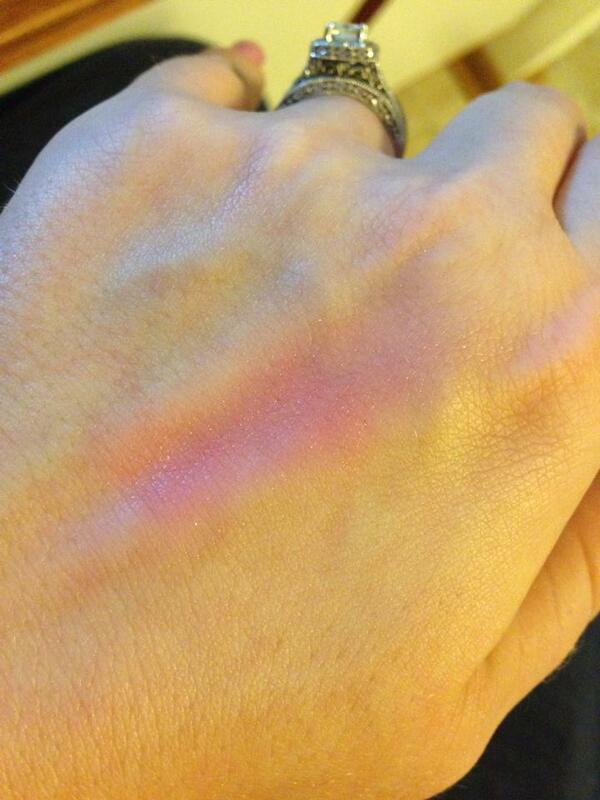 Swatched in shade to show how opaque it applies. I have found that it is a bit drying when used alone on the lips, so will have to see how it performs as a cheek stain. This has the same style packaging as the quad, but when you open it, it has an imprint of a jean pocket in it which I think it cute and adds to the aesthetic of the blush. 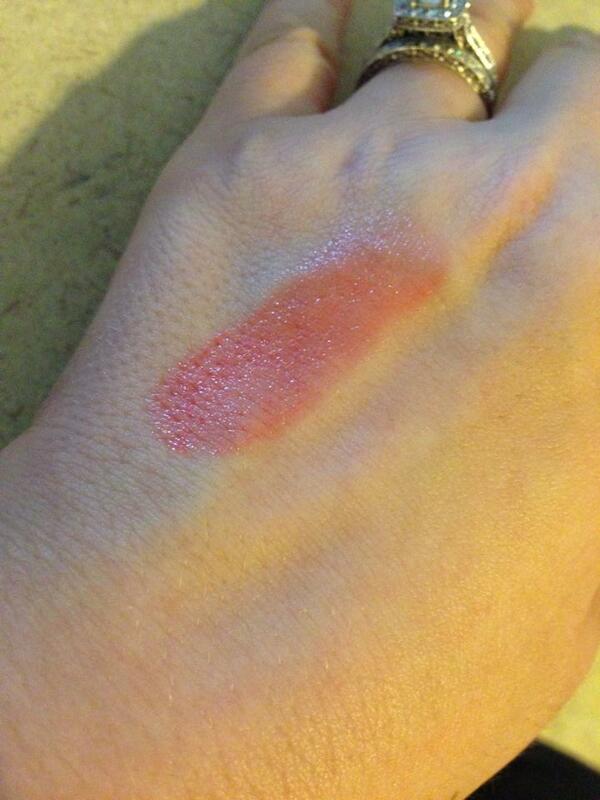 This looks super bright in the pan, but when swatched it becomes a more sheer, very cool toned pink. This is Glamorous Eye Pencil in 407 which is a navy shade. It is on the harder side, but can be blended and smudged for the desired effect. 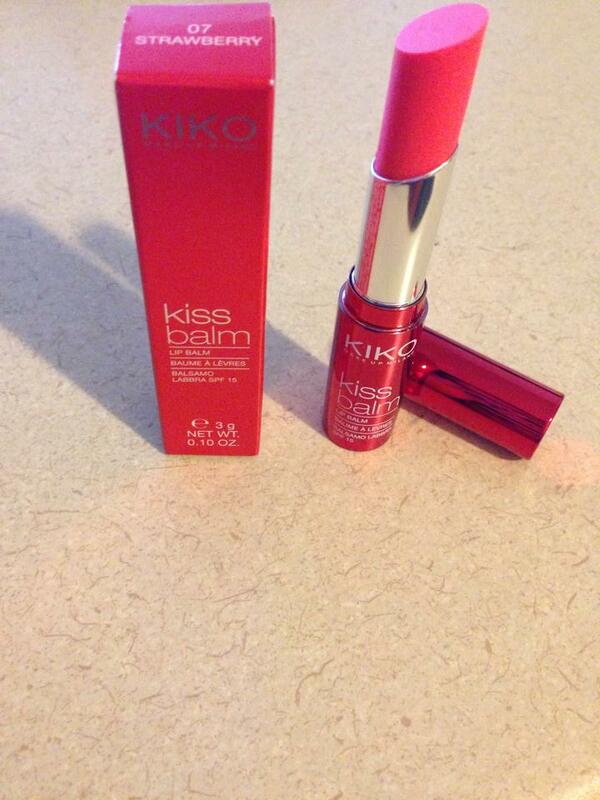 Kiss Balm in Strawberry was a register impulse purchase (they were using it as their add on by offering it to each customer that got up there). but is probably my favorite thing that I got! It does on really gel like and is super bright! I got the strawberry, but wish I would have grabbed other shades/flavors. 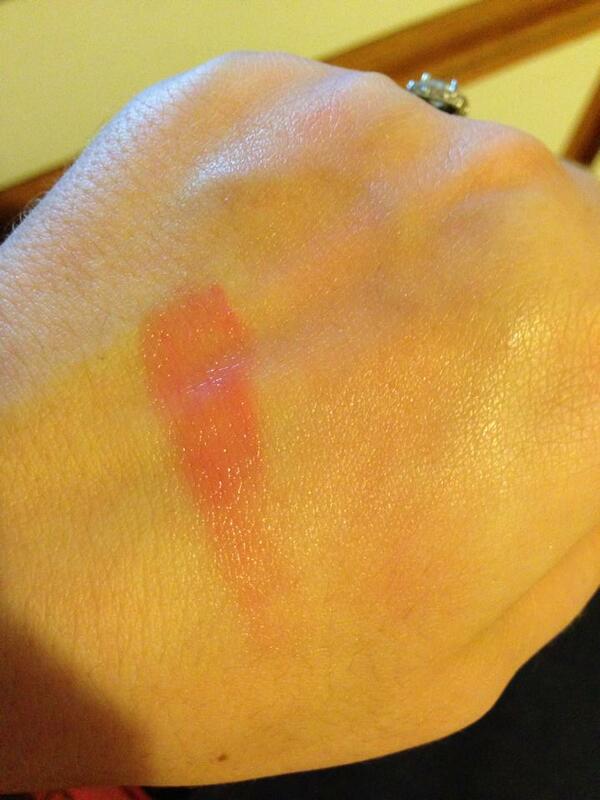 Hard to see the brightness in the swatch, but on the lips it is a bright pinky-red. Overall I got everything for great prices and most were on clearance. Im happy the products are made in Italy since that is where I bought them. Some of the items lack a bit in pigmentation or packaging, but you can’t beat this brand for the price and there are some definite winners here. If you can get your hands on this brand, I say what are you waiting for?